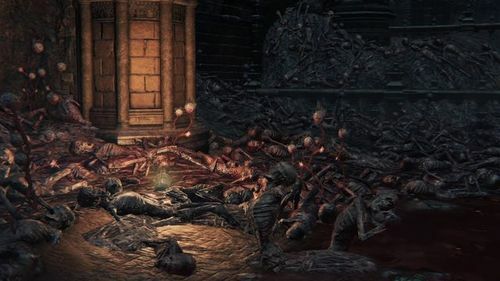 The area itself consists of a twisted, nightmarish version of Cathedral Ward filled with terrors and blood-drunk hunters alike. 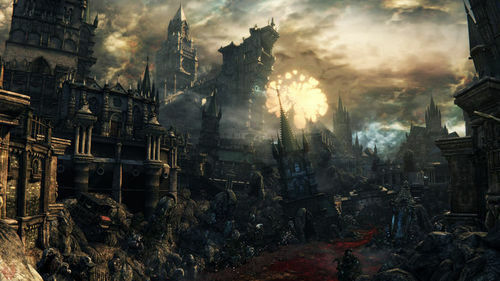 Two extra powerful enemies lurk in the Nightmare: Ludwig, the Holy Blade at the corpse pile, and Laurence, the First Vicar in the cathedral. An eye pendant which unlocks the surgery altar. 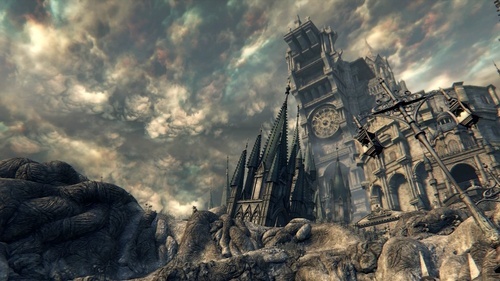 There are two cathedrals in the Hunter's Dream. One lies past the River of Blood, and another contains the private research hall of the Healing Church. Only chosen members of the Healing Church, or their lamentable patients can enter the research hall, using this eye. An arcane sword discovered long ago by Ludwig. When blue moonlight dances around the sword, and it channels the abyssal cosmos, its great blade will hurl a shadowy lightwave. The Holy Moonlight Sword is synonymous with Ludwig, the Holy Blade, but few have ever set eyes on the great blade, and whatever guidance it has to offer, it seems to be of a very private, elusive sort.